The storm is expected to bring heavy snow to the northern Plains and rain to the South. Airports in North Dakota and South Dakota were expecting significant winter storms with several inches of snow, so major airlines are allowing passengers there to change their flights without penalty. Airline officials don’t expect major disruptions in northern hubs, such as Minneapolis, on Wednesday. Dallas and Houston — which are major hubs for American Airlines, United Airlines and Southwest Airlines — could face rain storms Wednesday evening that could snarl travel plans. Transportation Security Administration workers screen passengers at O’Hare International Airport, Tuesday, Dec. 25, 2018, in Chicago. Winds are also a concern when storms move through major airports, because they could cause substantial delays and, in some cases, diversions. During wind events, regional flights are the most vulnerable to being suspended as larger aircraft can handle higher winds. Concerned passengers should keep a close eye on their flight’s status and contact their airline if a flight is cancelled or significantly delayed. All of this comes during one of the busier travel days of the year, when people have been flying at record high rates and there is a partial government shutdown. 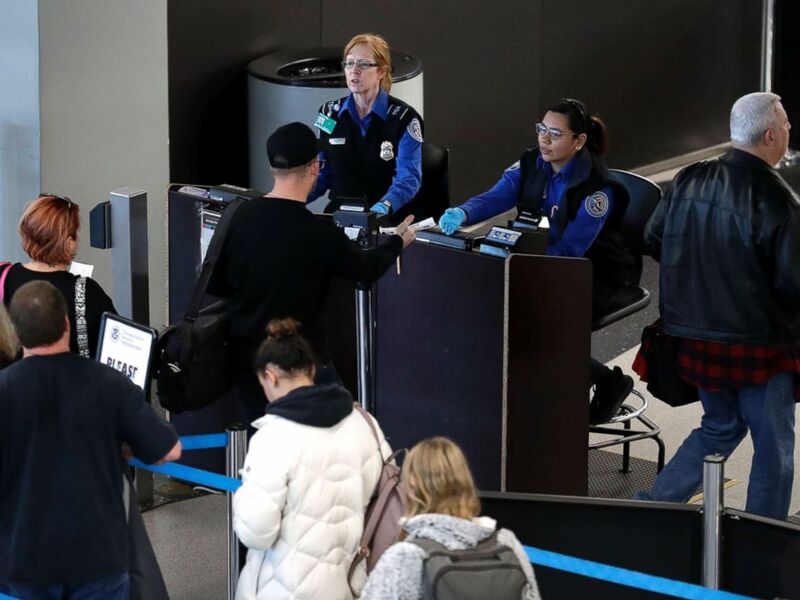 The Transportation Security Administration beefed up on staffing, including canine teams and agents, but the human officers were working through the holiday without pay due to the partial shutdown. They will be compensated once Congress and the president agree to a funding bill. Airlines deployed larger aircraft and added flights to their schedule to handle the demands. The busiest day in TSA history was the Sunday after 2018’s Thanksgiving.